There’s a fine line between naturally long eyelashes, and eyelashes that are fake and overdone. Yet most women want thick long lashes that gently frame the eyes. Many resort to using mascara or fake eyelashes. There are problems with using either method. Mascara can run over time, and if it’s long-lasting, can be nearly impossible to remove, which causes eyelashes to break and dry out over time. Fake eyelashes need to be glued on with an adhesive, which may cause allergies and irritations to contact lenses wearers. Fake lashes can also look noticeably fake, and ridiculous. There are other methods to growing lashes such as supplements, serums, and prescription products such as Latisse. But over time, they may do little more than deplete your wallet. Many women also choose to go the eyelash extension route. Not only is this time-consuming, but many women don’t realize how scary and annoying it can be having someone attach hair to their eyelashes. Over time, these eyelash extensions can also cause your real lashes to fall out. And there is also the additional worry of eyelash extensions being incredibly expensive. It can add up if you choose to maintain eyelash extensions over the course of a year. One of the best and natural ways to make your eyelashes look bolder and thicker is coconut oil. Coconut oil can be bought from almost any supermarket. It comes in a solid form in the cooking oil section of the store. One container will cost from $6 to $10, but be more than worth the investment. Look for organic coconut oil for extra benefits. You can also purchase fractionated coconut oil, which is the liquid form of the oil. This is more useful for making into serum recipes to benefit the skin. Coconut oil has a lightly scented coconut smell, and while it feels greasy, it doesn’t melt easily in the hand. Besides being good for your health, coconut oil is also good for your eyelashes. Most women who use coconut oil to enhance their lashes will directly apply it to their lashes. You’ll notice how fewer eyelashes will fall out, and the ones you have will start to grow thicker. They will also grow longer. You may soon be able to put away the mascara, which can irritate the hardiest of eyes, and throw out those false lashes that were nearly impossible to insert anyway. You may have noticed that applying cosmetics around your eyes makes them red and irritated. Coconut oil is the best ingredient for using around your eyes. If oil gets into them, they will not be harmed. Your eyes won’t sting. If you overdo it, your vision may go blurry for a couple of minutes, but your eyes won’t be harmed. Besides being safe to use around the eyes, coconut oil is good for your lashes for a variety of reasons. It provides natural moisturizer to your lashes, much like it does to your hair. Coconut oil is filled with many compounds that are beneficial to the human body, notably a wide range of natural fatty acids, such as lauric, myristic, caprylic, and capric acid, which are all medium chain fatty acids, essential building blocks for every cell in the human body. 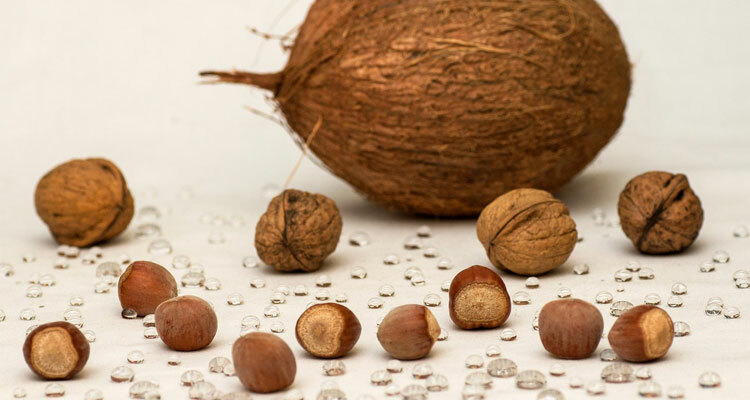 As coconut eye penetrates your eyelash follicles it can stimulate hair growth. It can also fight against issues such as dandruff or other fungal infections—yes, people can still get these on their lashes. Coconut oil will also work as a cosmetic, visibly making your eyelashes softy and shiny. It can also strengthen the lashes and prevent them from breaking or falling out, and promote growth. Coconut oil is also non-comedogenic, so it won’t clog the pores of your skin. 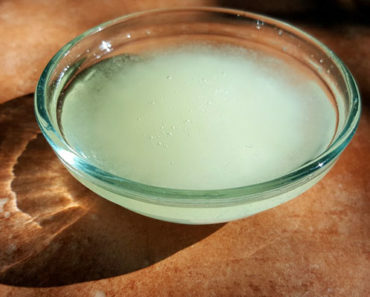 Coconut oil provides a natural lubricant to your eyes. Have you ever read the list of ingredients on eye creams? Have you ever gotten cream in your eye and you’ve cursed the cosmetics manufacturer? Why do they make that stuff anyway? The good news is that you can make natural cosmetics, such as the coconut oil eyelash serum in your own home. You can easily purchase all of these ingredients from the supermarket, a vitamin and supplements store, or online. One container of fractionated coconut oil—this is the liquid form of coconut oil—you won’t need the whole bottle but buy the smallest you can find. It’s very simple to mix all your ingredients together to make an effective eyelash serum. Pour your coconut oil into your roller bottle and fill up until 1/4 inch from the top of the bottle. 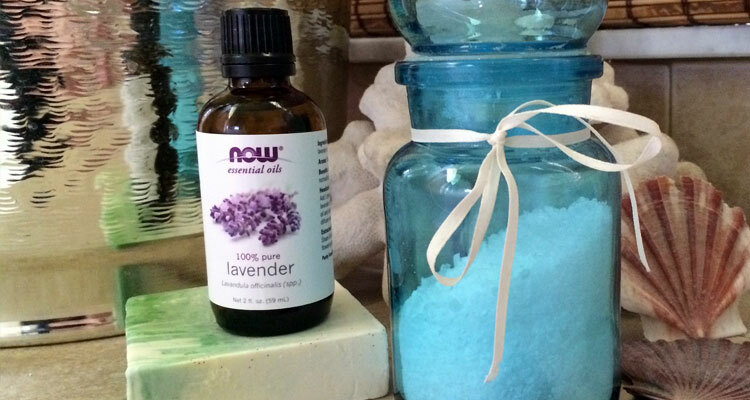 Add one drop of lemon oil and one drop of lavender oil. Push the roller lid onto the top of the bottle and screw on the lid. Shake it well. It’s now ready to use. You’ll want to learn about the best way to apply coconut oil to your lashes, so you quickly realize the benefits of long lush lashes. It’s best to use at bedtime, as it may be a bit greasy-looking for daytime usage. Apply it to your eyelashes with the roller ball of the bottle. This keeps your eyes from becoming contaminated by touching with your fingers. You may wish to blot your lashes with a dry clean cloth if too much oil is on your eyes. Your lashes should feel moisturized, but there shouldn’t be any oil dripping into your eyes. Do this right before lights off at bedtime. Implement your new eyelash routine at bedtime. Wash your face with coconut soap, rinse with water, and pat dry with a cloth. Ensure your hands are clean too. Apply a small amount of the serum to your eyelashes. In the morning, wash your face normally, and apply makeup. Skip any other eyelash product, mascara, or serum while using natural coconut oil. This serum has the additional benefit of keeping your eyes moisturized, so you won’t need to apply any other eye cream at bedtime. Apply your serum every night of the week. It’s okay if you skip the weekend. Try to keep up the routine, but if you want a break, do it in the summer time when your skin may be naturally oily from the heat. Coconut oil can be used for more than your eye lashes. It can be used for every part of your skin and hair. Many people use coconut oil to enhance dry, chemically-treated hair. It can be applied 15 to 30 minutes before bathing, and then shampooed out. Coconut oil has great benefits for those who have eczema on their face. This condition can be embarrassing. It starts out with small blisters, then turns itchy and scaly as they dry up. Coconut oil can be applied from the beginning to decrease the length of time of the inflammation, and to also keep the unsightly dryness from getting out of control. Coconut oil also makes a great natural skin moisturizer. Not only does it smooth out fine lines and wrinkles, but it can aid in the balance of healthy skin. Coconut oil can be used to moisturize the cuticles surrounding your nails, particularly if they become dry and peeling over time. Coconut oil is an excellent eye makeup remover. Yes you heard it right! It works well even on mascara! Dip a small cotton cloth and sweep it gently over your eyes. It will help to get rid of waxy make up and leave the delicate area more hydrated. Once you are done, wash off your face. Coconut oil can do wonders on your dry hands. According to some researches, they are found to be effective in moisturizing your hands and keep it smooth and soft. If you have a pet cat or dog who has dandruff on its back, you can safely rub some coconut oil into their skin to make it healthy again. There are many other beauty treatments for you to try. When you buy a bottle of coconut oil to make your eyelash serum, you’re certain to find many other uses for it too. Here are some additional tips for growing longer, lusher eyelashes. Avoid department store brands of eye cosmetic products. Choose makeup that has naturally-derived ingredients. Apply your eyelash serum nightly. Toss out your old mascara—it grows bacteria over three months of time. If you decide to use mascara for a special event, ensure you remove it all before bedtime. You can use your coconut oil serum as a mascara remover, apply with cloth, then rinse your eyes. Once you have removed it all, go ahead and apply your serum for bedtime. There will be many reasons why eyelashes might begin to disappear or fall out. Most of the time, these problems are due to the weakening of skin tissues around the eyes. In the long run, this may lead to sloppy skin which will make it hard for eyelashes to stick well. To a great extend we can limit this, by using a combination of coconut oil along with other carrier oils. 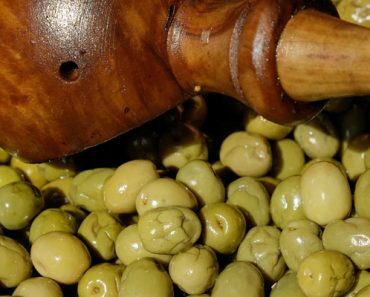 The best method will be to mix up a combination of grape seed oil and castor oil along with coconut oil. After applying this mixture onto eyelashes, wait for about 1 hour before washing off. Make sure you do this on a routine basis, at least for a couple of weeks. Now let us see what are the major side effects caused by excessive use of coconut oil. When used in moderate amount, they are unlikely to cause any kind of side effects or interactions. Rarely coconut oil is found to cause allergic reactions and some skin disorders. Having said that it is a very rare phenomenon and causes side effects only on those who are hypersensitive. How to Choose Best Quality Coconut Oil? 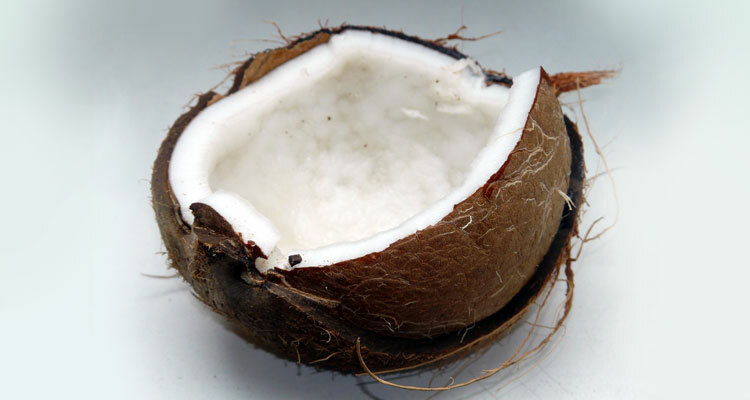 As we know coconut oil is full of good saturated fats and antioxidants. 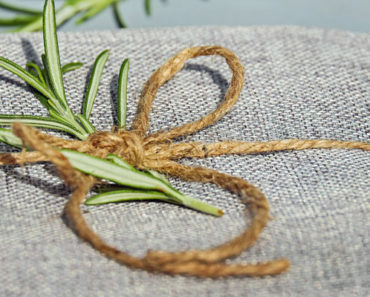 They are versatile and one of the most ancient among essential oils. But how do you choose the best and most healthy coconut oil? How do you know whether to buy a refined or unrefined oil? Refined version of coconut oils do not have the same health benefits as that of pure version, but they are a great source of fatty acids. Most of the coconut oils available in grocery stores are refined versions unless it is specified on the label. Unrefined version of coconut oil is usually labelled as virgin. 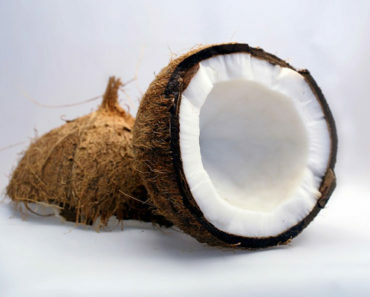 They are usually made from the first pressing of fresh, raw coconut without the addition of any kinds of chemicals. Eyelashes are one of the most neglected part of our face. We take note of them only when they starts getting thinner. Women irrespective of their ages are self conscious about having thin eyelashes. Long and thick eyelashes are a dream of every women and they are ready to spend any amount of money for achieving that. But as we have seen, there are natural methods who are equally effective if not more! Using natural ingredients are not only safe, but they don’t cause any sorts of eye irritations. If you have ever tried coconut oil as a natural remedy for growing eyelashes, share with us your experiences by leaving a comment below. Can i apply only coconut oil with my finger? and if coconut oil is go in my eyes what i do? Yes, you can apply coconut oil with your finger. The coconut oil contains various nutrition and minerals, which will not be harmful for your eyes but good for your eyes. Although it will make your eyes uncomfortable, it is just temporary and will not damage your eyes. Do you think I could use jarred coconut oil that I’ve warmed to get it to the liquid stage as opposed to fractionated oil? Yes, you can use it just like the fractionated one. How long will it take for my lashes to start growing? I have been applying the oil for a week now. It will take some time to show off the results. Most people say that they’ve seen clear results after 2 to 3 weeks. Do you mix anything with the coconut oil or just apply straight coconut oil ? Thank you. Do you mix anything with the coconut oil or just apply straight coconut oil? for eyelashes… Thank you. How long do you need to use Coconut oil on your eyelashes before start seeing eyelash lengthening and thickening results? After a year of getting eyelash extensions I have been left with almost nothing. Eeek! You can expect a clear improvement after 2 to 3 weeks. For some people, lashes grows faster, some slower. It works!!! I’ve been using it for a month now and my lashes are thick darker and longer!!! I put it on every night with the mascara wand I specialized for the coconut oil, brushed them every night to make sure every lash got oil. My results are amazing!! What is a mascara wand? and what do u mean you specialize in coconut oil and were can I get it. Just thought I’d point out that coconut oil is in fact a comedogenic and does have properties that cause pore blockages if you are prone to blackheads or acne! If you are using it on the skin; argan oil is a great substitute! WRONG. Coconut Oil is Non-Comedogenic. 15 years of Med School and 20 yrs Dermatologist. Believe it or not, I used coconut oil for about half a year now. I did slack off for a week or two, but it really does work. When I started, I had problems with my eyelashes falling out, and they were so small that if they got into my eye, It’d be a complete disaster getting out! – But then I decided to try it. It works very well, but you’d have to wait a month to see the true results, and maybe a little more. It’s not instant, but it’s certainly better than mascara. I also haven’t had problems with my eyelashes falling out, and if they do they hardly ever get into my eyes anymore, which is a huge blessing. My only complaint is that it does clog pores (from what ‘milly’ had commented. It’s totally true) – like, I could use it for how dry my face is and it does work in softening it up, but eventually I’ll have a horrible time with bumps on the face. I have been applying coconut oil at night and in the morning for a good 6 months and it’s really does work. It’s not an instant quick fix but if you are constant and patient you will see amazing results within a couple months, now it’s just apart of my daily routine without even looking for results! I love it! Coconut oil is absolutely comedogenic. Its rates a 4 on a 0-5 scale, with zero meaning the oil won’t clog pores and a five meaning it is highly likely to. Has anyone compared the effectiveness of coconut oil versus castor oil? It must be said that if done correctly by a certified professional, lash extensions will NOT cause any damage or lashes to fall out, as is written here. Classic Lash extensions are applied individually to each Lash and should only fall out when the natural lash sheds. Since we all have different lash cycles, this may mean some need fills sooner than others. I agree with the benefits of using coconut oil on your natural lashes and It is recommended for use after Lash Lifts as well but if done properly, lash extensions either classic or volume, will not cause damage. Otherwise, great article. I use coconut oil on my lash extensions because I found that they would get dry. Works wonders!! My friend has beautiful long eyelashes. I was inspired to grow long ones like hers, and when I told her about what I thought, she said, “yours are short and thin.” So I have been trying a method that I dip my q-tip into the coconut oil and apply it like mascara. My lashes have gotten thicker and longer overtime! Coconut oil works amazingly well. After applying it to my lashes every night with a Q-tip for 2 weeks, I saw a considerable difference. Coconut oil smells amazing too 🙂 and I use it to remove my mascara. Can someone answer the question…Is Coconut Oil better than using Castor Oil which is usually the oil recommended for lengthening eyelashes. Or does a combination of both work the best? Has anyone tried both? You can mix it. You can add vitamin E oil too if you want. But I only use mix of castor oil and pure coconut oil that I made at home. I noticed some results after a week or so. Been using it now for 2 months, And I can say that it really works. You need to be patience though. Can I use a combination of coconut oil, castor oil, grapeseed oil, argan oil, marula oil all mixed together for eyelashes? Just wondering if the combo would be good! Or is it recommended to use only one or two together? Thank you in advance! I found this article because my eye doctor recommended that I put Vaseline in my eyes to help lubricate dry eyes. I was looking for something more natural than a petroleum product. Will it help to put coconut oil on the inside bottom lid for this problem as well as grow lashes (which I’m interested in also) I wear contacts. Also, can I use it straight or do I have to mix it with other oils like the lemon and lavender? I have been using coconut oil whipped with vitamin e and lemon oil for about 3 months. The change in my skin, eyelashes and nails is phenomenal. I have highly allergic skin and this has been my saving grace. I have also prior to having allergic skin endured acne since young but coconut oil has cured this too. It does not block pores. Initially I became a bit spotty but this felt like it was my skin bringing up any blocked pores. My face is plumped and my skin hydrated, I remember reading it feels the same as drinking lots of water. My only wish is that I could find a way to make it perfect under wearing make-up… I wouldn’t rely on my hypoallergenic day moisturiser any more. I would rather use just coconut oil…I have tried putting Shea butter and/or Beeswax and Aloe Vera in with it but my skin isn’t as happy as with just the coconut oil and vitamin e and lemon oil. Cant recommend coconut oil enough..it’s literally life changing for me after years of trying to find the perfect salve for my skin..smells beautiful too. Just wanted to add.. I use the coconut oil and vitamin e/lemon oil as a cleanser too.. with damp make up pad..also removes eye make up like a dream. I literally massage it into my eyes and face leave for few minutes and then wipe off with a few dampened make up pads, then massage the coconut oil mix in for about ten minutes. I do this in the morning. My only caution is it can make your hair around your face look greasy but even so it’s brilliant for your hair. I also just massage into my eyelashes and around my eyes, its the best moisturiser ever, great for treating hair too and on body. Is the lemon oil safe around your eyes? Especially when it will likely get into your eyes? I have Blepheritis and my eyelashes fall out and grow back crooked in places due to the clogged oil glands. Could coconut oil help or make the problem worse?